Going with what’s growing, PepsiCo, Inc., told the Wall Street Journal today that it is switching its marketing emphasis to its zero-calorie Diet Pepsi brand from its sugared flagship cola, Pepsi. The move goes against established historical trends: no major cola company has ever put its diet line to work as the straw that stirs its sales drink. But it comes at a time when traditional sugared soft drinks are suffering a decline in market share, while diet sodas are the only labels whose market shares are increasing in the battered carbonated soft drink (CSD) category, whose sales were off nearly 4 percent for much of last year. In the past few years, PepsiCo has consistently outspent Coke when it comes to marketing its portfolio of diet colas – by nearly $20 million over the last six months of last year, according to information supplied by the investment bank SmithBarney – but Diet Coke has long ridden the strength of its sugared predecessor into the lead position among diet drinks. Overall, Diet Coke outsells Diet Pepsi on a 3-2 basis. In fact, Diet Coke is the third-best selling soft drink in the U.S. If they hadn’t realized it already, last year’s numbers likely put the lo-cal numbers on the wall for cola marketers: last year, Diet Coke, Diet Pepsi and Diet Dr. Pepper all sold more cases than they had in 2003, and all three increased their market shares of total CSD sales overall, according to the survey firm BD/Maxwell. Their sugared counterparts, Coke Classic, Pepsi and Dr. Pepper went in the opposite direction. Industry wisdom holds that increased health concerns about excessive sugar consumption and its links to obesity have been driving down consumption of sugary sodas, while new categories in the beverage market overall, like bottled water and “energy drinks” like Red Bull have hurt the sales growth of CSD’s. Still, Coke and Pepsi continue to dominate their areas, holding nearly 75 percent of the entire soft drink market. That makes Pepsi’s shift even more revealing in terms of overall consumer desires, according to Steve Hersh, president of the boutique brand Grown-Up Soda and a former brand manager with Cadbury-Schweppes. At least one other beverage sector, beer, figured that out a long time ago – Bud Light, Miller Lite and Coors Light outsell their full-calorie analogues. And Coke is getting on board, too, announcing in November that it planned to double its marketing outlay when it comes to Diet Coke. Nevertheless, it is difficult to figure out if Pepsi is taking aim at Diet Coke or simply trying to shore up its position within the soft drink market. 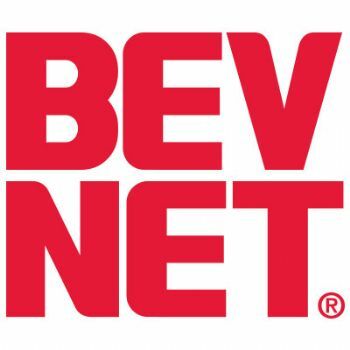 And as of press time, Pepsi had not yet responded to inquiries from BevNet on just that point. Regardless, both companies are paying extra attention to the reduced-calorie world. In the months to come, the Coca-Cola Co. plans to introduce an offshoot version of Diet Coke — sweetened with the sugar-substitute Splenda — while it may also be planning a zero-calorie version of Coke Classic to join its reduced-calorie C2, launched last summer. Meanwhile, Pepsico will not only be spending its marketing dollars on Diet Pepsi, but also on a new campaign for Splenda-sweetened Pepsi One, a one-calorie cola.